Inspired by the concerts and designed to inspire you. 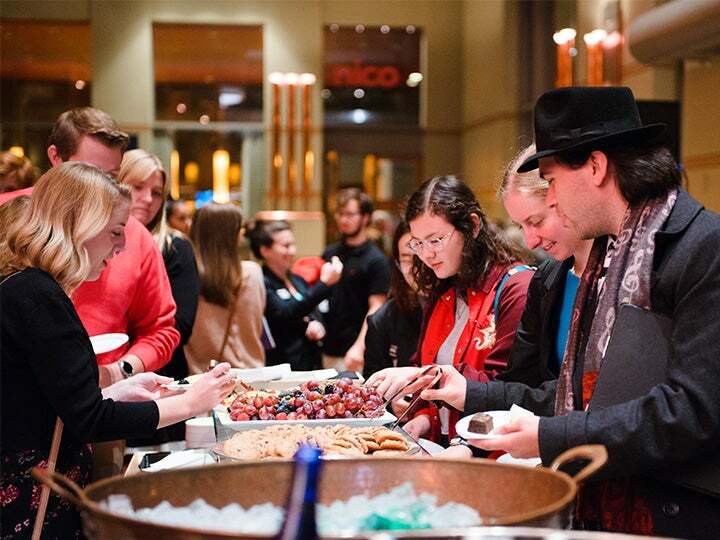 NJSO Accents are pre- or post-concert events that complement and enrich your musical encounters and provide you with more opportunities to personally connect with the concert experience. Most events are free and open to all ticketholders; events with additional admission charges are noted. 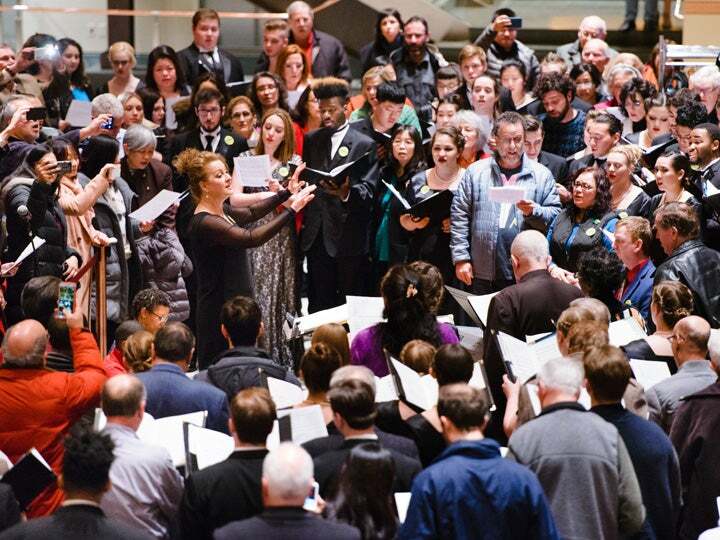 Join with other concertgoers and members of the massed choirs to sing at the next #ChoraleYou—a joyful “sing-in” of Beethoven’s “Ode to Joy” after the October 7 concert at NJPAC in Newark. Find your flute, tune up your trombone or dust off your double bass and join forces with NJSO musicians in the 5th annual edition of this NJSO classic. Are you a college student? Hear great music at NJSO College Night! Did you know 1 in 6 Americans don’t know where their next meal is coming from? You can help. 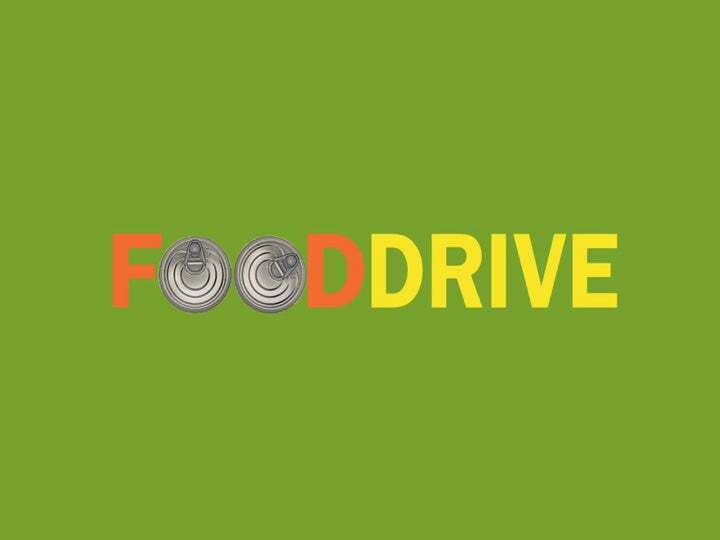 At concerts throughout the month of March 2018, the NJSO will collect non-perishable food items to donate to our neighbors in need. Enjoy lively Classical Conversations with the musicians, guest artists and other NJSO insiders beginning one hour before select performances. Our Ask a Musician program lets you get to know the musicians of the NJSO personally. Meet them during intermissions of most concerts. 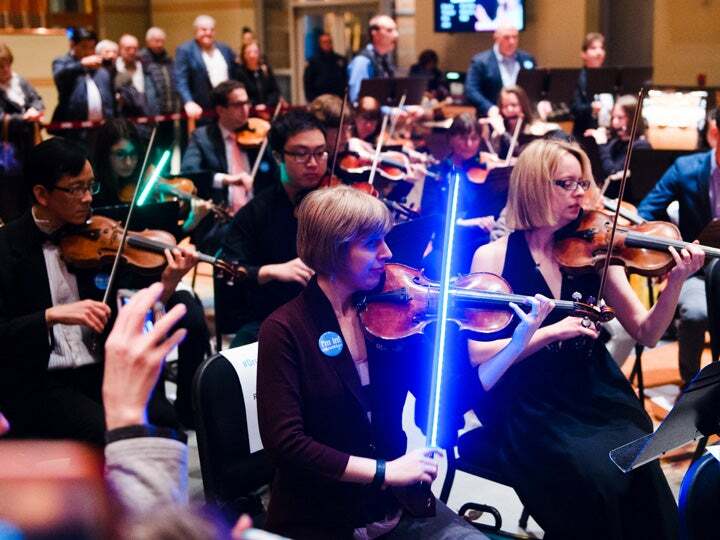 Pre-Concert Festivities—dancing, sing-alongs or other surprises at select Family and Pops concerts help set the tone for a rollicking good show. Prelude Performances feature young musicians from the NJSO Academy—a suite of nationally recognized education programs—as well as community partners in pre-concert lobby performances. Browse the concert listing and click on the “More Info” button for each event to find NJSO Accent events for the concerts you’re attending or plan to attend!